Ethio Scott Warren P.L.C. was founded in Addis Ababa, Ethiopia in 1998; today it operates as key player in the painting and refinishing market. Our company works closely with all the major car workshops in Ethiopia and cooperates withPalinal S.p.A., Italy; worldwide leader in this business (www.palinal.com). 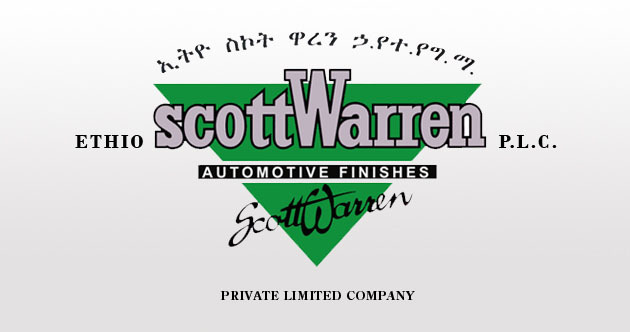 Since 2004 Ethio Scott Warren P.L.C. has extended its product portfolio into building paints, with exclusive focus on "Decorative" paints. Our partner for this business unit is Loggia Industria Vernici, Italy; (www.loggia.it). We work with premier companies in the market to ensure the best in quality products and utmost safety. Our mission is to provide the most innovative products, offer tailored services and be a customer-oriented company in the painting industry.